It´s hard not to sigh when the time for Operation Back to School begins to loom, and many parents worry about where to start. Parents tend to be concerned about school supplies, timetables and getting out of the door on time, whereas children are more anxious about being suddenly whisked away from familiar people and places. It´s worth remembering that it is completely normal to need a little time to adapt to change, but there are some simple ways you can make the transition period a whole lot easier. Get into a school sleep routine about a week before term starts by moving back bed times and getting up earlier. You can do this gradually if necessary, depending on how different your holiday lifestyle is from your term-time routine. A good night´s sleep prepares your child to do everything with more energy and good will. It also heads off sleepiness, grumpiness and lack of cooperation before they have a chance to happen. If you can use the week before school to organize meal and snack times on a term-time schedule, it helps the body clock to adjust even better. It may feel like a drag to say goodbye to your relaxed holiday lifestyle ahead of time but when the new term comes, it won´t be a total shock to your child or you. You will thank yourself during the intensity of the first few days back to school. If the school has given you a list of things to prepare for the new term, do everything you can at the beginning of the holidays or a week before term starts. It is better to leave clothes and shoes until nearer the time, because a sudden growth spurt can cancel out your organized, pre-summer effort in the blink of an eye. School shoes have the power to create joy or misery, so make sure you buy them at the right time. If they are leather shoes, keep a couple of adhesive bandages in your pocket just in case. With other things, such as stationery and backpacks, you really can buy ahead of time so you have fewer things to do when term-time approaches. Involving young children in choosing colors and designs can make all the difference to their attitude towards going back to school, because the anticipation and excitement of using them becomes a positive part of going back to school for preschoolers. Talk about school buildings, other kids in class and especially the teacher, beforehand, letting your child know school will be interesting and fun. Keep your language simple for your child to understand, and build on objects, people and concepts that you already know. Be careful not to use any casual warnings, such as “Just wait until you´re back at school….” or any threats about teachers telling them off, especially when it´s a new teacher. The best thing you can do for your child is to create a trusting, supportive partnership with the teacher. Your own communication with the teacher is easier too, when you act as a team. 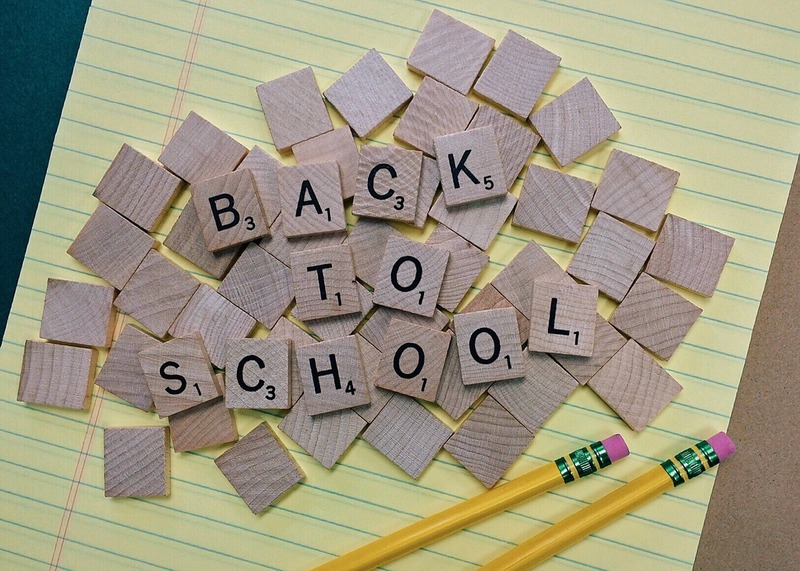 The day before school, lay out clothes, books, pens and backpacks together as an activity. This way, your child becomes familiar with everything and feels included in the plans, with an active role. Talk through the schedule for the next day, bearing in mind that the actual times on the clock are less important than the order of events. Start by saying things like, “We´ll get dressed, then have breakfast” and go right through to “I´ll be waiting for you at the gate”. Pay particular attention to new experiences, such as lunch at the canteen. Saying it a few times helps your child to get comfortable with the plan and gives them comfort if they feel nervous during the day. It will also make it more likely that you get out of the door on time, without drama. Be confident, positive, bright and encouraging so your child learns to look forward to a new adventure, whether it is back to school for preschoolers or older children. It really helps them to feel independent and grown up – it´s what the big kids do! Remember that young children live in the present and usually suffer a lot less than their parents. Even the children who wail at the gates eventually settle down with a comfortable routine and affectionate patience. Try to show the great attitude you want your child to have. Children soak it up naturally when you transmit calm and positivity.